San Jose is literally in the center of several easily accessible volcanoes. How many volcanoes are there in Costa Rica? MANY!!! 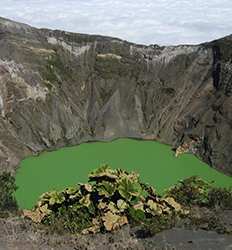 In fact, there 6 active volcanoes and 61 other dormant or extinct volcanoes in Costa Rica. That is why we have devoted this entire section to highlighting the best volcano tours in Costa Rica. Both the Poas and Irazu Volcano craters are best visited early in the mornings before the cloud cover sets in and visibility is good for some amazing photo ops. For those short on time, you can choose a half day tour and be back in time for lunch. 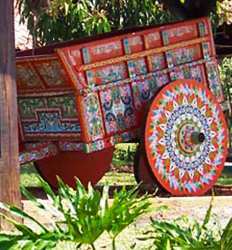 If you have time, add some culture and history to your tour with a full day combo tour. 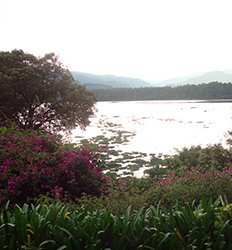 Our number one volcano tour is the Poas Volcano & La Paz Waterfall Gardens combo for good reason. 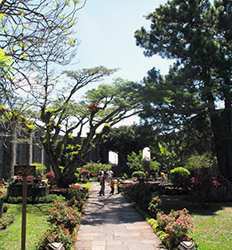 The place is spectacular and we hope you have the chance to visit during your Costa Rica vacation. Where there are volcanoes, there are hot springs. Needless to say, with so many volcanoes in Costa Rica, there is no shortage of hot springs. Join one of our full day Volcano & Hot Springs tours from San Jose and get to know Costa Rica's most famous volcano, Arenal. Hike around the Arenal Volcano National park, then take your pick of hot springs resorts to soak in and recover from the days hike. Which hot springs resort should you choose? 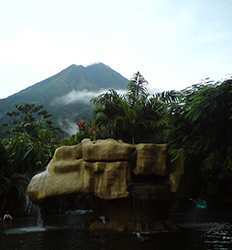 Take a look at our handy dandy guide to Arenal hot springs and decide which hot springs resort is your favorite. 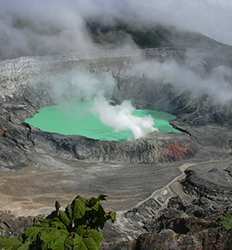 The Real Deal Tours offers the best deals in Costa Rica on the best volcano tours in San Jose. Browse through our selection of San Jose Volcano & Hot Springs Tours below and choose from half day trips to Poas or Irazu, or a full day tour to Arenal for a complete Volcano & Hot Springs experience in Costa Rica.